Escorting you through the swamps of reality, Lucid Dreaming is a deep and personal ride through the subjective depth of a single mind. Developed over five years, this album describes a personal struggle expressed through hopeful harmonies, challenged by a looming darkness that seem to never fully cease its hold. 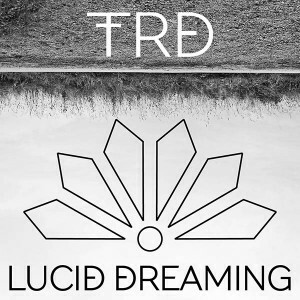 The resulting journey is an emotional 45 minute ride through the dreams of the creator, TRD, illustrating personal development through melodic expression. Although danceable throughout, providing the listener with dense, atmospheric psychedelic trance spanning 105–145 BPM, the artist intends for this album to be listened in solitude by individuals seeking music that evokes questions rather than providing answers. In comparison to TRD’s last album, Apostles Of The Universe, this one is faster, more demanding, and perhaps even more rewarding. Mastered by Colin Bennun @ The Stooodio, U.K., with original photography by Hanna Täubers Grahn. MP3 Download | FLAC Download | WAV Download · Download count: 21,684. I am baffled. This is pure energy transfer. Interface loaded, flight accepted. The last album was a blast. But this. You are evolving. Thank you so much. Fat, trippy, musical, spacy, huge, and did I say Fat? This is a wonderful album, the blend of instruments excites the ears whlist the melodies that stitch the songs together launch the listener into an infinite soundscape. Pär,,, Im speachless, just sayin’- WOW!!! Devine album!! Thank you TRD! Respect and Hugs from Badgers Records! never had seen a trance like this before, great job man !!!!!!! !